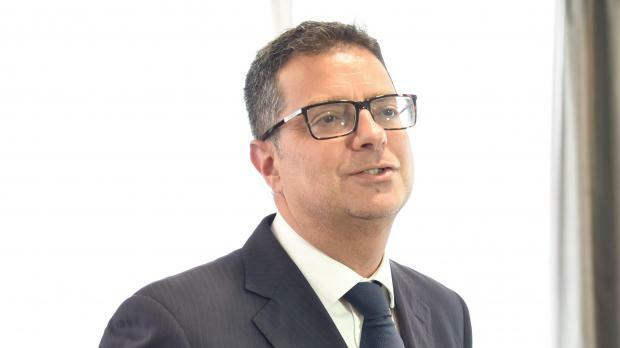 A magisterial inquiry is looking into documents containing his forged signature, Adrian Delia told party enthusiasts gathered at the party’s Mellieħa club on Sunday. He called for the investigations to quickly establish whether there are links between the documents and money laundering allegations concerning him. The Sunday Times of Malta had reported last December that the Financial Intelligence Analysis Unit had compiled a detailed report into Dr Delia, finding a reasonable suspicion of money laundering and flagging six-figure transactions they believe were linked to a Soho racket. Police investigators have now said that they may not be able to follow up the FIAU's work, saying the case may be "too hard to crack". Dr Delia is alleging that his signature was forged on a number of financial transaction documents. He first made the allegation on Saturday evening, telling the media that he had handed the documents to the police. Those documents, he told party supporters on Sunday, were now the subject of a magisterial inquiry. Earlier on Sunday, Prime Minister Joseph Muscat advised Dr Delia to request a magisterial inquiry into money laundering allegations. Dr Delia said the government was wrong in thinking that the PN leader or the party itself were going to be intimidated, noting that he had immediately headed to the Police Commissioner following the leak. There he handed over evidence that his signatures had been falsified by third parties. The Opposition leader insisted that whoever had truth on his side should never be afraid. “No one will intimidate me. Despite the continuous attacks on me and my family, with every passing day, I grow more convinced that the fight is neither mine nor the party’s. It is a fight for the truth, democracy and for all of you. “This government is reaching extremities that we haven’t experienced in years, he said,” he said. After months of the PN's insistence that the AG’s role of prosecutor and lawyer of the government, and head of the Financial Intelligence Analysis Unit was no longer tenable, the government had split the roles of Prosecutor and Attorney General, he said. The changes appear to be similar to what had been proposed by a Nationalist government in May 2002, and rejected by the Labour Opposition at the time. Dr Delia added that news about the constitutional amendment that will hive off functions of Prosecutor General from those of the AG will not blindfold the PN. The government, he added, needed to implement all recommendations by the Council of Europe’s rule of law experts, known as the Venice Commission. The PN leader also insisted that his party was totally against abortion adding that he had flagged the issue of safeguarding life during a European People’s Party summit in Brussels. “The PN was, is and will remain in favour of life from conception till its end,” he said, adding that he was later commended by the party’s candidate for President of the European Commission Manfred Weber for bringing up the topic. According to Dr Delia, the European socialist party was militating in favour of abortion, something that the Maltese government had tried to hide while changing laws in preparation for the introduction of abortion. The government's lack of a long-term plan had led to traffic congestion, teaching students in containers, and gearing up the economy through a false surplus while the government operated with a deficit, Dr Delia said. According to EU data, Malta was the only place in the EU where salaries had decreased, because while pay increased slightly, cost of living had also increased, he added. “Under a PN government, everyone was becoming owner of their house or had a roof over their head, while a socialist government is urging people to die earlier, get a loan and skip getting a pension. The PN leader reiterated his call on the electorate not to remain at home and complain, but use the most precious tool they had and change the country’s direction. In a reaction, the Labour Party said that Dr Delia's double standards were turning him into a worse version of his predecessor, Simon Busuttil. While he was quick to demand resignations "for every little thing", he kept refusing to subject himself to an investigation, the PL said. "Adrian Delia should have called for an investigation into money laundering investigations. Instead he called for an investigation into how information about him was made public," the PL said.